Will his arms beef up? If he does, can we call him Yianni Triakomihalis? I thought he was going up 2 weight classes each year so he could 1 up Dake!! I heard he the same thing. He's going to go 157, 174, and 197. I think it's less about NOT having triceps and more about narrow shoulders. Kid's got brass balls though. He is small for 141. Why would he move up? To push himself as there will be no competition at #41 next year. He has the frame to move up, plus with arujua coming into the lineup it makes he most sense for the team. 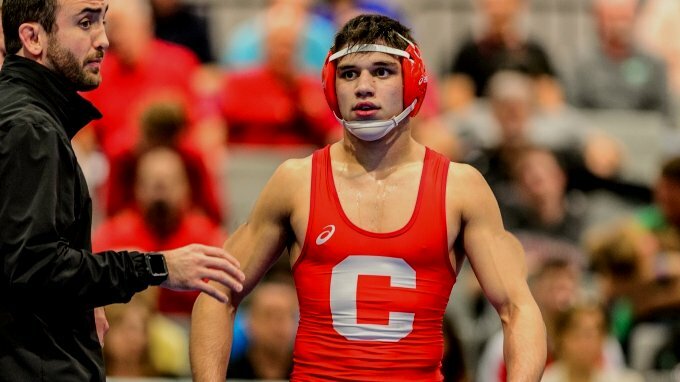 Yianni will go whichever weight he happens to be ideal to, either 141 or 149. This will get figured out by August as coaches will be able to see what his growth rate does across this summer. Everyone else in the lineup will have to cut and move around him. Top wrestlers at optimum weights is always best for a team like Cornell.